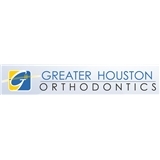 Greater Houston Orthodontics (Houston) - Book Appointment Online! Our goal at Greater Houston Orthodontics is to create beautiful, healthy smiles for our patients that will be valued for a lifetime! -Leading edge orthodontic care with traditional braces, invisible braces, and Invisalign. -Dr. Davoody works closely with your general dentist and encourages routine dental care as well as good oral hygiene at home. -Flexible scheduling! -Affordable treatment options with flexible no interest payment programs available. -We accept direct payment for most insurance plans. -We communicate openly with our patients! -Safety and comfort are of the utmost importance in our practice. Our sterilization procedures brings a whole new level of protection to our patients. We deliver the highest standard of sterilization in dentistry. Dr Davoody and his staff are all very friendly. They explained the details of the treatment and insurance. They strive for a pleasant appointment. The first time my daughter was a little shy and they brought a chair for me to sit next to her. My daughter likes to go there.